On 26 November 2018 the NASA Mars InSight spacecraft started its dramatic descent toward the Martian surface. After separating from the cruise stage it entered the upper Martian atmosphere at a height of 80 miles and a speed of 12,300 mph (5.5 kilometers per second). As it slowed down during its descent the probe’s protective aeroshell reached temperatures of 2,700°F (1,500°C). At an altitude of 36,500 feet (11 km) and a speed of 861 mph its parachute deployed, slowing it to 134 mph before it fired its landing rockets at a height of 3.600 feet (1.1km) to land at a gentle 5 mph (2 m/s). At approximately 19:53 UTC, mission control received a signal that the spacecraft had successfully touched down at Elysium Planitia. Spectrum Technologies Ltd, world leader in laser wire and cable processing technology, is delighted to announce that Lockheed Martin Space used its Spectrum Nova laser wire marking equipment to process and identify all the wiring in the manufacture of the complex electrical wiring system for NASA Jet Propulsion Laboratory’s (NASA JPL) Mars Insight lander. The Nova 800 product range was specifically designed for complex aerospace wire harness manufacturing applications. Since the company was founded in 1989 Spectrum has supplied almost 1000 laser wire marking systems to over 50 countries, making it unquestionably the world market leader in the development, manufacture and supply of UV laser wire marking equipment. The company has supplied all of the biggest names in commercial and military aerospace worldwide. In late 2016 Spectrum introduced the new updated 6th generation Nova 800i series laser wire markers. 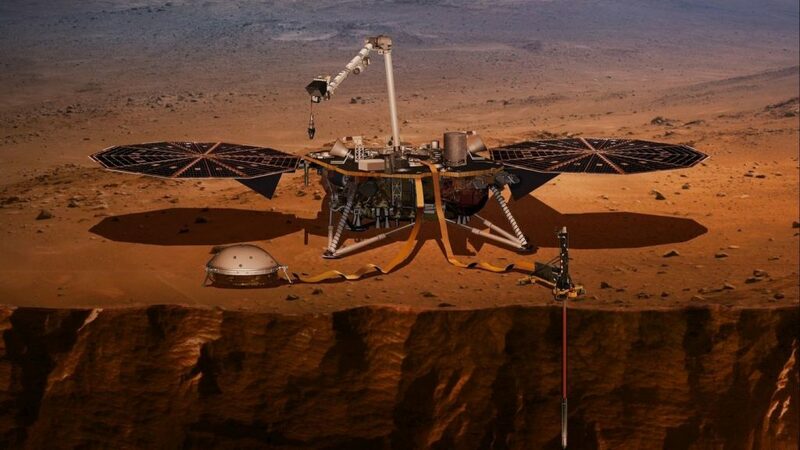 InSight (Interior Exploration using Seismic Investigations, Geodesy and Heat Transport) is NASA’s latest Mars lander which is designed to explore the deep interior of Mars. Lockheed Martin is the InSight prime contractor responsible for the complete spacecraft system. Following landing, the mission will survey the surrounding area and deploy the mission critical instruments. It will then begin its mission of observing Mars, which is planned to last for two years. The company is also pleased to announce that it will be celebrating its 30th anniversary in October 2019. Please see our web site for further information on this milestone achievement throughout 2019.